Comprehensive liability protection for diving facilities and liveaboards. Highest limits and the best coverage at the most affordable rates. Liability protection to diving professionals of all levels. Highest limits and the most comprehensive coverage at affordable rates. The most comprehensive diving accident and dive-travel plans available world-wide. What Makes DiveAssure Your Best Choice? DiveAssure members are eligible for the most comprehensive Diving Accident and Dive Travel insurance plans. Duke Dive Medicine physicians are available 24/7 for direct consultations to DiveAssure members and partners. We specialize exclusively in diving. Our expertise makes a difference. We pay directly to service providers. You don’t have to leave a deposit or other guarantees. Best liability coverage for diving service providers. Read more or click here to choose the DiveAssure program that’s right for you and sign up! With over 20 years of servicing the diving industry, DiveAssure now offers its members – both diving facilities and dive professionals (Dive Cons, Dive Masters, etc. ), the highest and most comprehensive liability protection available worldwide. Coverage currently not available in the USA, US territories and Canada. Why Do I Need Diving Accident Insurance? It is recommended that you get diving insurance, because, even though scuba diving is considered a safe activity, in the unfortunate event of a diving accident, insurance payouts can run into hundreds of thousands of US dollars. Medical treatment in some destinations, and specifically diving related medical treatment, or medical evacuation, can be very expensive. An uninsured person will need to pay out of pocket, sometimes upfront, and that could be a problem for the most of us. Do I need dive-travel insurance? 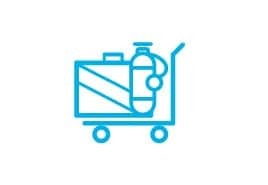 While your diving accident policy will pay the diving related medical costs such as hyperbaric chamber treatments, you may incur many other expenses or lose some or all of your trip investment through scenarios such as non-diving medical situations, cancellation and interruption due to many reasons like inclement weather, personal or family issues, airlines delay and many other reasons. A travel insurance policy will protect you against such unforeseen scenarios. How Do I Choose The Right Travel Policy? 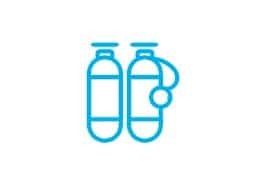  Expertise in diving related emergencies and hyperbaric medical procedures.  Primary Vs. secondary coverage. Primary coverage includes admission guarantees, fast claims process and much more.  Direct payment to treating facility vs. reimbursement.  Reasons for cancellation/interruption, and coverage limits.  Reasons for lost activity (diving) days.  Loss/replacement of diving gear. 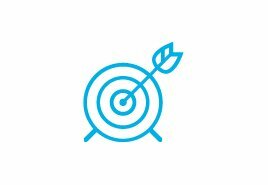 Why Purchase Specific Coverage For Liveaboards? 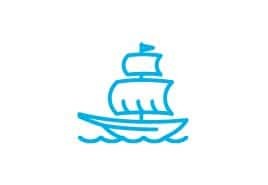 The Dive&Travel Plus is a unique insurance product that is offered exclusively by DiveAssure, which includes additional benefits that cover scenarios specific to liveaboard trips that are not covered by any other travel insurance program on the market. Trip cancellation coverage due to a missed connection resulting in missing the liveaboard or in additional cost to join it. Trip cancellation coverage for missing liveaboard departure due to airline delays. Weather conditions not enabling diving/sailing. Diving accident to other passenger on boat causing the boat to abort planned diving. Expenses not reimbursed by the tour operator for default /mechanical breakdown to air supply. Financial Default of the liveaboard operating company, or tour operator. Diving is considered a safe activity, however, in the unfortunate event of a diving accident, medical expenses can reach thousands of dollars. Do I Need Dive-Travel Insurance Policy? 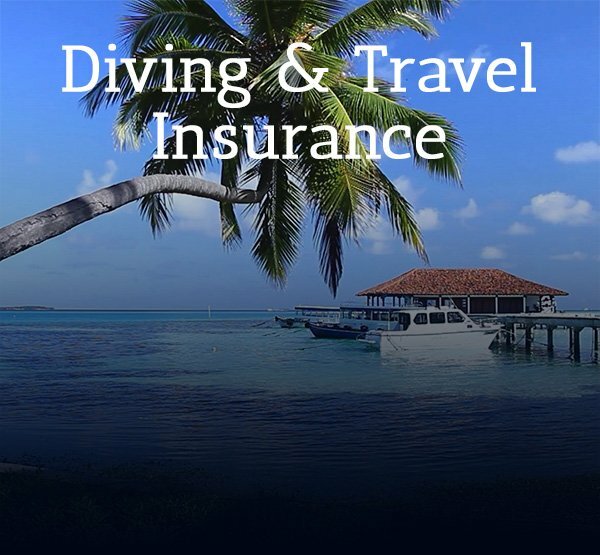 While your diving accident policy will pay the diving related medical costs , you may incur other travel related expenses or lose your trip investment. Liveaboard trips have unique scenarios that might not be covered by a travel insurance program. The Dive&Travel Plus includes this coverage. Different insurance policies have different terms and conditions. Be sure to match the type of coverage you purchase to the nature of your trip. Check out what our members & partners are saying about us. Just had to drop a note tell you how well the Diveassure medical assistance program works! 50 minutes after arriving in Belize, my wife severely broke her arm. I emailed DiveAssure from an Internet Cafe and explained I was a member, that I lost my card and the situation with my wife. DiveAssure called and said everything was covered. They arranged for a flight the next day. I have never really planned to use the services that you buy insurance for, but this was money extremely well spent. To coin a phrase: DiveAssure – don’t leave home without it!!! I was wondering if you have a thank you page to post for perspective buyers. I was reimbursed on a trip that was majorly delayed, and after about a month or so, I got your check. I thought for sure, after all the hurricanes this year, it would be denied for whatever reason, or delayed, but you folks came through. I wanted everyone to know how great of a program you have here. You also paid expenses for another person on the same trip that bought your insurance. You guys blow DAN out of the water. Thank you DiveAssure for your prompt action and years of service. Roy Pargament of DiveAssure has been very pleasant and forthcoming handling the replacement of my BC identification card and required recognition. I wanted to allow DiveAssure company to know he and others respond quickly and professionally. On a dive trip to Thailand we were flying between Phuket and Luang Prabang in Laos. Due to late arriving aircraft we missed our connection in Bangkok. We were forced to buy a new ticket on a different airline or spend the night in BKK and miss a day of touring in Laos. On our return home we presented DiveAssure with our travel delay expenses and were quickly reimbursed for the cost of the new tickets purchased to continue on our trip without the delay. I have been a member of DiveAssure for three years now and will continue with this valuable coverage. My dive vacation was interrupted by a motor scooter accident in Cozumel Mexico. I had to have a major operation immediately followed by a medivac to Miami the next morning. My diamond dive insurance policy took care of everything. I cannot say enough about this insurance company, I can say this about your vacation, do not ride motor scooters and make sure your policy is current. Due to health reasons, our daughter was advised to come back home (possible hernia) after being on the XXXXXXXX for less than a week (a 14 day scuba trip). She came home safely on Tuesday of last week. Your medical emergency team was great! Everyone was nice, efficient and everything went smoothly. I want to thank you for that! The DiveAssure Association was founded in 1999 with a goal of providing scuba divers with everything they might need in the area of diving insurance and medical assistance. We offer scuba divers a variety of superb Insurance and Assistance programs, on various levels, to cover all needs of both diving locally and when traveling overseas.